The white filling dental materials used are an alternative to the traditional Amalgam (Silver looking) filling materials. As it bonds to teeth there is less chance of it coming out and less drilling of your actual tooth. The colour of the tooth can even be adjusted so it blends in with surrounding teeth. 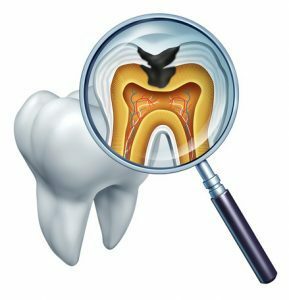 With Amalgam fillings, if it fractures the whole filling normally has to be taken out. With the white fillings it is easy to add to it. Amalgams fillings have stood the test of time, and generally we do not recommend that old amalgam fillings be replaced with composite (white) fillings if they are sound and not causing any problems. This is because there is more Mercury vapour produced when taking old Amalgam fillings out. However, if it is a fresh cavity or an old amalgam filling needs replacing anyway, then the white filling would be a good alternative.